Kinara at Kemang is the most popular Indian restaurant among expats in Jakarta. Upon entering the restaurant, I could immediately understand why. 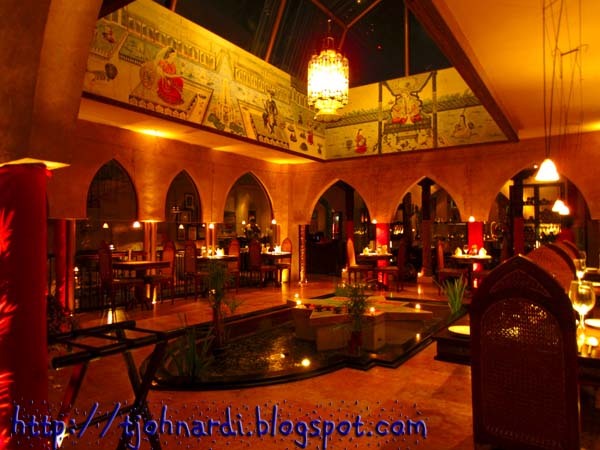 The interior was glowing with warm ambient lights, that created classy & romantic Indian atmosphere. There's also a glass-walled spot in the restaurant dedicated to store wine, a staple beverage for the non-locals. We started by ordering our drinks off the smaller menu booklet. The cocktail & mocktail selection was rather limited, but well, this is not a lounge / bar, so I won't complain. My buddy ordered the "Comfortable Screw" (a mixture of Southern Comfort, Vodka, Apri Brandy, Parfait Armour, Creme de Banana & Ginger Ale). 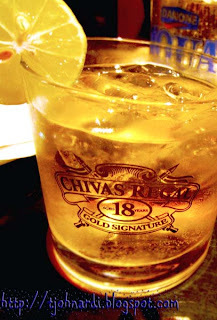 This drink tasted "almost there" (not strong enough in every sense) which was kind of irritating. 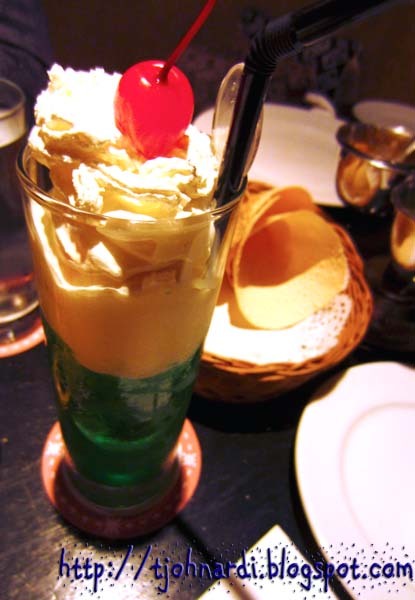 Contrasting to that, the "Climax" I had was slightly too sweet (mixture of Raspberry Liquor, Vanilla Ice Cream, Midori, Blue Curacao topped with whipped cream). 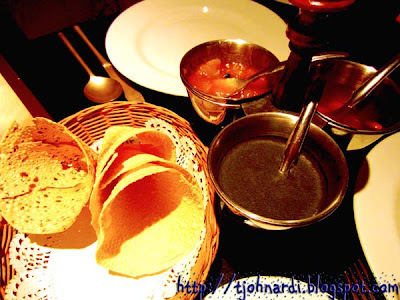 Before the food arrived, they served a basket of Papadum (crispy, thin bread), which came in 2 varieties: spiced and plain. These are to be eaten with either the mango chutney, mint chutney and onion pickles. Both me and buddy preferred the tangy mango chutney which goes well with the salty Papadums. Since both of us fancy mushrooms, we decided to order the Mushroom Kurkuri for starter. The fried crispy skin wrapped the mushroom & cheese filling inside. 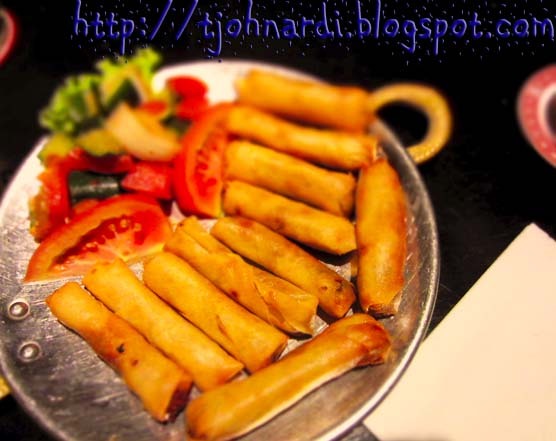 This Indian version of springrolls is definitely yummy. 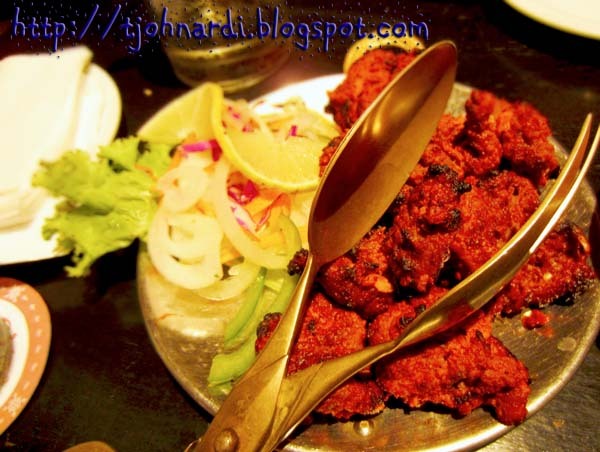 For the food, I chose one of the chicken dishes, Tikka Bemisal. It was char grilled chicken fillet served with velvety tomato gravy enriched with honey. The gravy was perfectly seasoned and made a perfect companion for the Plain Naan bread. My buddy wanted to satiate his longing for lamb and chilli so he got himself the Kandari Tikka (described as tender morsel of lamb, seasoned with chilli and Indian spices, roasted in the clay oven). It was dry, as you can see in the picture and spicy! But the lamb was well roasted. A little tip from me: when trying a new type of cuisine, it is wiser to go to better places or if possible the best. Paying slightly higher is more worth it than to be traumatised from eating new type of food of substandard quality. For a pleasant Indian cuisine experience, Kinara deserves 4.5 out of 5. Have you been to Blue Elephant, Dino?